I Ride ID - Be Safe, Not Sorry, And...Make a Difference! Road ID provides identification accessories to make sure you will be identified if you are injured or become ill during a sporting event. Protect yourself and support a good cause - proceeds are donated to animal rescue charities. New Colors in Time for the Holidays! Get your Road ID today! Road ID now offers identification for pets! Order yours today! Dog is man's best friend. We don't mean that in a gender-specific manner, ladies; we all know the family pooch loves you most. Introducing: the Jumbo Scout ID. As HUGE animal lovers, we couldn't resist making an ID for our own dogs (Scout and Coal). Now you, too, can own the same ID that our pooches proudly wear. It's truly a great ID that attaches securely to any 1" (25mm) wide collar. So, say goodbye to your dog's cheap, jingle-jangly ID tag and say hello to the ultra-durable, sleek and quiet Scout ID. It also works great on horse bridles, for all you equestrians. Available in 4 colors. Fits any 1" (25mm) wide collar. The last few mornings you could feel a slight change in the weather - even had to put a jacket on this morning to do barn chores. Well, ride season is here. The first competitive trail ride is October 6 and 7 at Doe Lake in the Ocala Forest. My trailer is pressure washed, the RV is in tip top shape, my horse is fit - we rode all summer - and I'm ready to go. Are you? One essential trail riding must have is your Road ID bracelet. You can order yours directly from this site and the proceeds will be donated to a great cause. 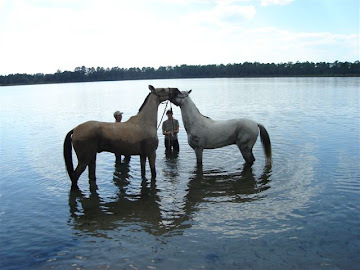 This month's charity is Days End Farm, a horse rescue in Maryland. Be safe, not sorry. Wear your Road ID bracelet so if you get into trouble, help can be on its way! Road ID for Dogs! I just found out about this! Last week I was visiting a friend and dog lover in North Carolina. It was the 4th of July and you know what happens then - fireworks! Did you know that more lost dogs are in shelters the day after the 4th of July than any other day of the year? Well, we found a dog. She was lost and very scared. Fortunately she had a tag. Unfortunately, the number on her tag was NOT a working number. Fortunately, another neighbor recognized the description of the dog, knew who she belonged to and we were able to reunite her with her family. During this event, my friend Julie mentioned she had discovered these incredible dog tags for her dogs. This is, of course, in addition, to the dog's microchip. Then, she noticed my Road ID bracelet. We discovered she had ordered her dog tags from Road ID. I was happy to discover a Road ID product I wasn't aware of - ID Tags for your dog! Here's the scoop and by clicking the link at the top of my page, you can order yours today! Remember, all proceeds from this site are donated to charity! Have a great week! Most of my weekends are pretty much the same - that is, if I'm in town and not running around like a mad person. 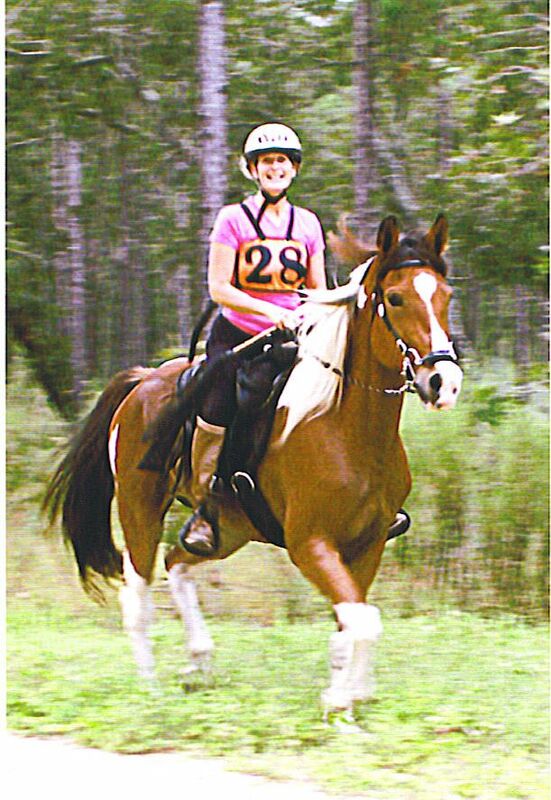 I ride my horse every Saturday morning and every Sunday morning, even if it's raining - like today. On one of our recent rides, two of us were encouraging another to get her Road ID bracelet. I encouraged her to order through this website, IRideId.com. She asked whether I was donating the proceeds to a worthy cause - great question? I hadn't really thought about that, but it was a great suggestion. As a result, NOW, whenever you purchase a Road ID product from this website, I will donate the proceeds to a charitable cause. This month proceeds will be donated to a charity I just learned about - 16 Hands Horse Sanctuary. You can get more information by clicking their name on this page. So, whatever your sport of choice is - protect yourself from disaster with your Road ID identification. Be Safe, Not Sorry - And, Make a Difference! 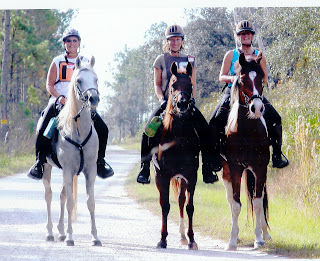 Today, we were lucky enough to have a group of six riding together. Still, lots can happen. I realized I forgot to wear my RoadID bracelet because I had taken it off for a semi-formal affair I attended on Friday night. Normally, I wear it every day, for every occasion. My friends and I were talking about our bracelets - one said, "No problem you don't have yours today, you have us." That was true but would they really have the information they might need in the event of an emergency. No one knew my husband's cell phone number or whether I was allergic to any medications. Two very important pieces of information that are both on my bracelet. A few weeks ago, I actually did fall off my horse. This doesn't happen very often - thankfully. But, here we were - just two of us. A beautiful day - not a care in the world when a mother cow and her calf "pop" out of the woods unexpectedly. Both horses spooked and I ended up on the ground. I wasn't injured, in fact, didn't even manage to get dirty. A possible tragedy was avoided. I did have my bracelet on and that would have provided all of the necessary information to make sure I was cared for properly. 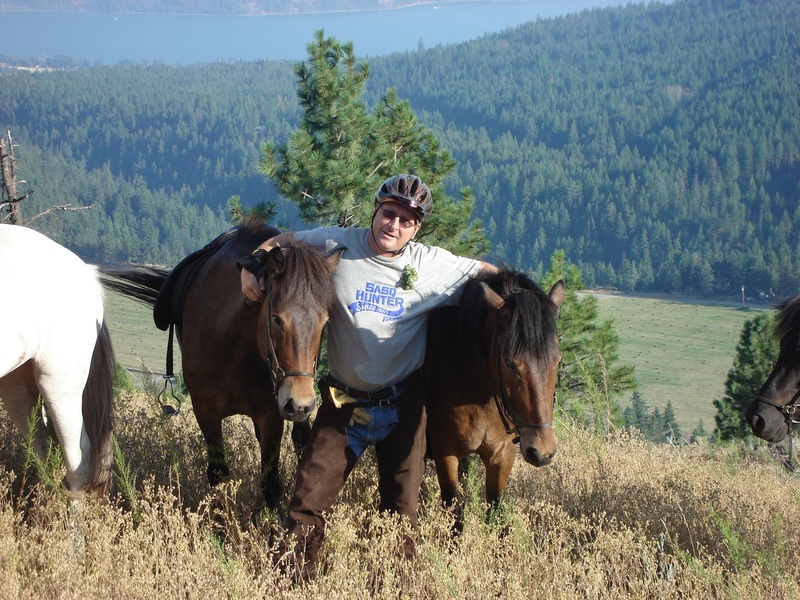 If you engage in any type of outdoor activity - it doesn't have to be horse back riding, then you need to have your RoadID, brought to you by IRideID.com. Order yours today! On Saturday I had the rare occasion to ride alone. Usually I'm surrounded by my good friends and riding partners, Gayle King, Lisa Dietrich and Caren Stauffer. 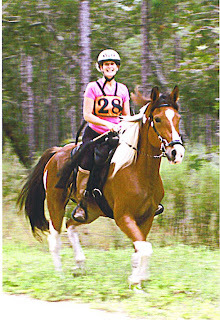 Yet, here I am - a beautiful day and no one but my horse, Sierra to go with. So, I made the decision to ride alone. I chose a spot where there would be plenty of people in case something did happen and I set out. I was happy I had my RoadId bracelet - it has my name, my in case of emergency contact information for my husband, my office and my home. If I wanted to, I could include important medical information. In the event I had taken a tumble off my horse, my RoadId bracelet would have all the information necessary to make sure the proper people were notified. It was a great ride - no incidents. Just a beautiful day!